In response to warnings that New Zealand’s Blue Cod fisheries are under significant pressure, the Ministry for Primary Industries (MPI) is developing a National Blue Cod Strategy. 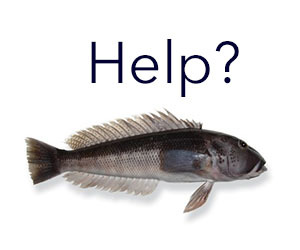 The blue cod species supports a high-value commercial fishery, a high participation recreational fishery, is taonga to tangata whenua, and is considered a top table fish by many consumers. The unique biology of blue cod, together with its popularity, makes it particularly vulnerable to overfishing and localised depletion. A changing inshore environment has also had a direct impact on blue cod fisheries. MPI says it is developing an action strategy to get to get ahead of problems facing the fishery, in order to ensure the Blue Cod species remains sustainable and abundant for all New Zealanders. “We want to engage widely with the public to ensure we capture all the issues and potential solutions. Information provided by the public will be used to inform and guide experts in assembling a robust and useful strategy”, said MPI Inshore Fisheries Manager Steve Halley. MPI and recreational and commercial fishing experts, tangata whenua and scientists met at a workshop in early July to begin developing the strategy. MPI is no seeking broader opinion on what the experts have developed so far. MPI is holding 8 information sessions around the South Island in early September and is running an online survey.